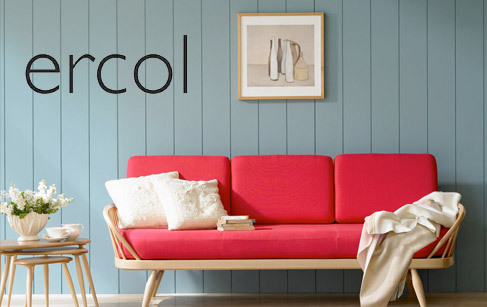 Ercol was founded in London in 1920 by a young Italian immigrant, Lucian Ercolani, whose simple goal was to make furniture that was well designed and made in a good working environment by craftsmen who really took pride in their jobs. Since the start of our company in 1920, design has always been at the heart of Ercol – design for comfort, design for function, design for beauty. Ecrol combines practicality with looks, be it the copious storage of the sideboards, shelving units, bookcases and display cabinets, the comfort of the studio couch and chairs, or the utility of the coffee tables, lamps, desks and media units. Ecrol has commissioned some of the best in British design talent to create outstanding furniture. Their designs constantly evolve to reflect how people live today, whilst continuing to reflect Ercol’s quality and craftsmanship.